Ruby has now settled into her foster home. 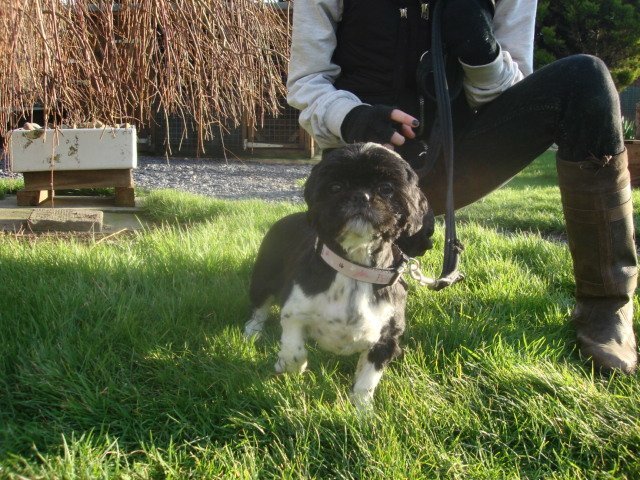 Ruby This Lovely Little girl was so matted that it hurt her to lift her up. Kath our vet sedated her to enable Wendy our groomer to shave her off. Now she is a happy girl and but has bad memories of being lifted or moved from furniture. She is great in the rescue with all the staff, but in a home her memories can get the better of her & she tries to bite (never has but the threat is there). 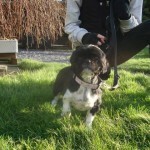 So she needs a special owner who will hopefully be able to change or live with her personality. No children & best as the only pet.